Bournemouth have completed the signing of Chris Mepham from Brentford for a fee believed to be in the region of £12m. Mepham becomes Bournemouth's third signing of the January transfer window, following the loan acquisition of Nathaniel Clyne and £19m purchase of Dominic Solanke, both from Liverpool. Eddie Howe has been keen to complete a deal for Mepham in the last two transfer windows and once again made the Welshman a top priority as he seeks to address ​Bournemouth's alarming slide down the table. ​​Mepham told the club's ​website: "It’s taken a while to get my signature on the dotted line but it’s been worth the wait. A run of just two wins in their last 12 Premier League matches has seen the Cherries slip from sixth to 12th, although they stopped the rot by beating West Ham on Saturday. Only ​Burnley, ​Cardiff and ​Fulham have conceded more goals than Bournemouth this season, so Howe needed to take action to address his leaky defence. Mepham's breakthrough into the ​Brentford first team last season saw a huge improvement in the Bees' form as they recovered from a terrible start to the campaign and only narrowly missed out on the play-offs. Mepham's form earned him a first call-up to Ryan Giggs' Wales squad, and he made his debut against China in March. His performances also put him on Eddie Howe's radar but Bournemouth's first bid to sign the 21-year-old was rebuffed last summer as Brentford rejected a £10m bid. 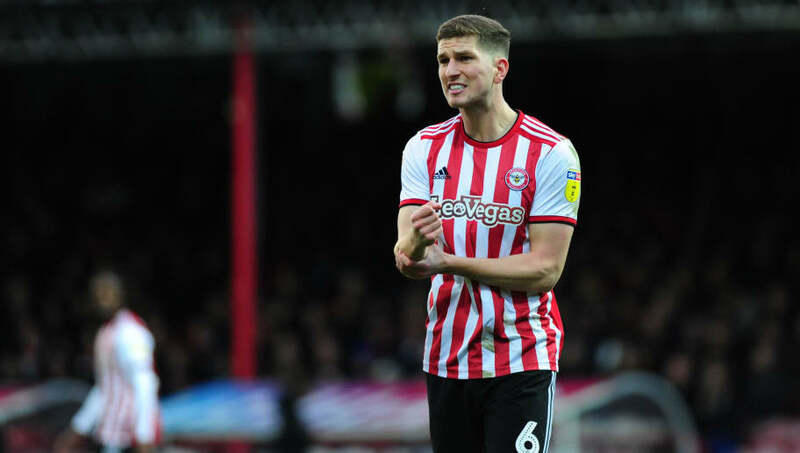 Mepham's sale comes as a blow to Brentford manager Thomas Frank, who has been turning around the Bees' fortunes after a difficult start following the departure of Dean Smith.